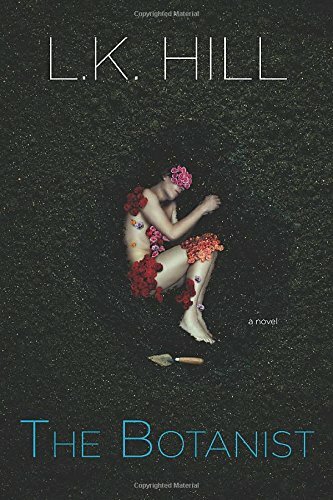 I am currently reading The Botanist by L.K. Hill. I am lucky enough to know the author personally, she is my niece, and I attended a book signing on the day the book was released. I’ve been anticipating reading the book since I bought it, but I’ve had a hard time finishing the other one I was reading. I don’t put books down easily, but after only reaching page 300 of 600 after a month and a half, I decided enough is enough. It very well could have had something to do with the fact that I kept thinking about this one! I picked up The Botanist a few days ago and can’t stop reading… I’ve been so busy, I wish that were true, but when I do read it, I wish I could read it until it was finished, but I can’t, so I try to make time when I can. It’s exciting and I’m looking forward to finding out what’s going on. If you like murder thrillers, this one is worth picking up. I’ve put a link to the Kindle edition on Amazon. My teaser is from page 11. Teaser Tuesday’s is hosted by Miz B of A Daily Rhythm. Feel free to click the link and join in the fun. We felt the same way. It only gets more thrilling and exciting to find out what happens.